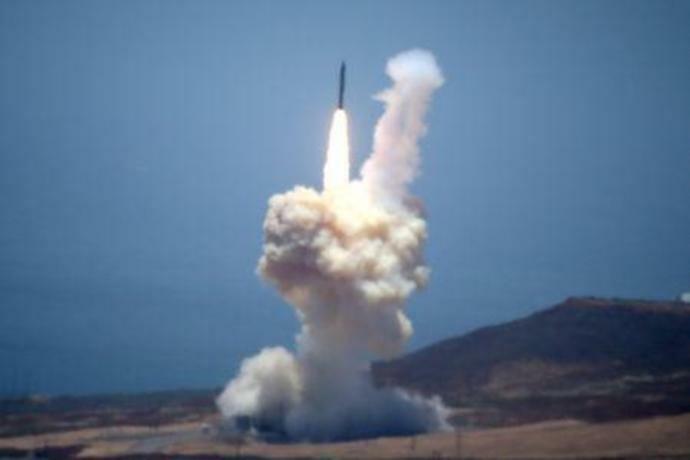 The Ground-based Midcourse Defense (GMD) element of the U.
WASHINGTON (Reuters) - The United States is aiming to test a ground-launched cruise missile with a range of about 1,000 kilometers (621 miles) in August, a Pentagon official said on Wednesday, after Washington announced that it plans to withdraw from the Intermediate-Range Nuclear Forces Treaty. Last month, the United States announced it would withdraw from the INF Treaty in six months unless Moscow ends what Washington says are violations of the 1987 pact. "We're going to test a ground launched cruise missile in August," a senior defense official, who declined to be named, said. If the testing is successful, the missile could be deployed in about 18 months and would have a range of about 1,000 kilometers (621 miles). The INF treaty, negotiated by then-President Ronald Reagan and former Soviet leader Mikhail Gorbachev and ratified by the U.S. Senate, eliminated the medium-range missile arsenals of the world's two biggest nuclear powers and reduced their ability to launch a nuclear strike at short notice. "We haven't engaged any of our allies about forward deployment," the U.S. defense official said. "Honestly, we haven't been thinking about this because we have been scrupulously abiding by the treaty."